Explore the design of a modern C++ library : MemCache++ case study. MemCache++ is a light-weight, type-safe, simple to use and full-featured Memcache client. It was developed by Dean Michael Berris who is a C++ fanatic and currently works at Google Australia. He also is part of the Google delegation to the ISO C++ Committee. Studying the well-designed libraries is recommended to elevate your C++ design and implementation skills, and the goal of this article is to discover some memcache++ design choices that make it easy to understand and use. A namespace defines a new scope. They provide a way to avoid name collisions. Many times the collision is shown as the first motivation, and not the modularity unlike for C# and Java where namespaces are more quoted to modularize the application. However, Some modern C++ libraries like boost use the namespaces to structure well the library and encourage the developers to use them. What about the namespace modularity of memcache++? Hide details like “memcache::detail” namespace, this approach could be very interesting if we want to inform the library user that he doesn’t need to use directly the types inside this namespace. For C# the “internal” keyword did the job, but in C++ there’s no way to hide public types to the library user. memcache++ exploit gracefully the namespace artifact.However, a dependency cycle exists between memcache and memcache::detail. 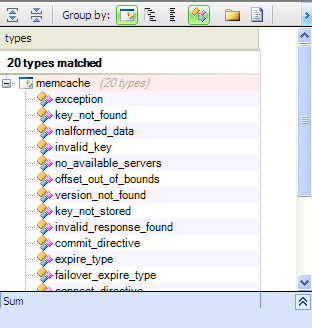 We can remove this dependency cycle by searching types used by memcache::detail from memcache. 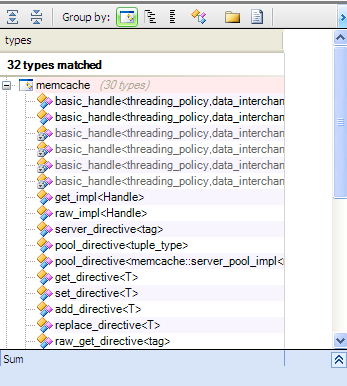 To remove the dependency cycle we can move pool_directive and server_pool_test to the memcache namespace. Which paradigm is most used in modern C++ code: Generic or OOP? In the C++ world two schools are very popular: Object Oriented Programming and Generic programming, each approach has their advocates, this article explain the tension between them. What paradigm is the most used by memcache++? Almost all the not generic types concern the exception classes, and to have a better idea of their use proportion, the treemap view is very useful. The blue rectangles represent the result of the CQLinq query, and as we can see only a minimal part of the library are related to the not generic types. As we can observe memcache++ use mostly generics, but it’s not sufficient to confirm that it follows the C++ generic approach.To check that a good indicator is the use of inheritance and dynamic polymorphism, indeed OOP use them mostly. However for the generic approach using inheritance is very limited and the dynamic polymorphism is avoided. Let’s search for types having base classes. It’s normal that the exceptions classes use the inheritance but what about the other classes? did they use the inheritance for dynamic polymorphism purpose? to answer this question let’s search for all the virtual methods. Only the exception class has a virtual method. If the dynamic polymorphism is not used, what’s the solution adopted if we need another behavior for specific classes? "The central idiom in policy-based design is a class template(called the host class),taking several type parameters as input, which are instantiated with types selected by the user (called policy classes), each implementing a particular implicit interface (called a policy)." 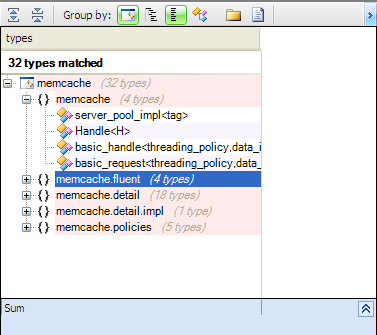 memcache++ has many policies inside memcache.policies namespace. 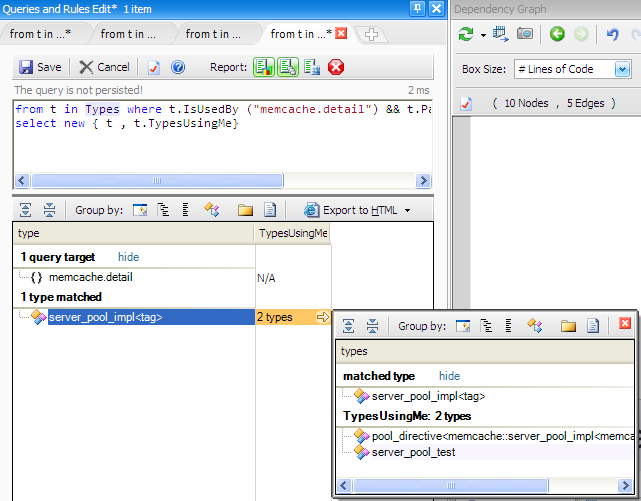 Let’s discover an example from memcache++ to understand better the policy based design. 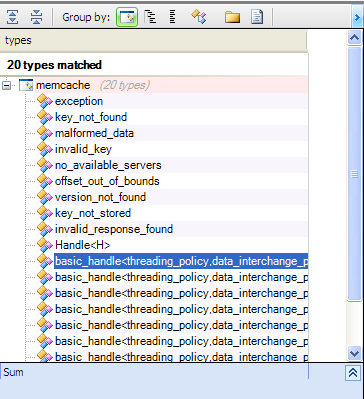 The memcache++ is thread safe and for the multithreaded context have to manage the synchronization, by default the threading_policy is “default_threading” where no special treatment is required. However, for multithreading the policy used is “boost_threading”. Let’s take a look to connect method implementation. If threading_policy is “default_threading”, the first line has no effect because the lock constructor did nothing. 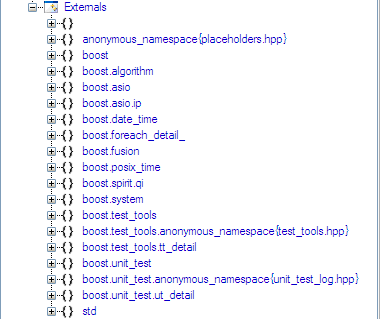 However, if it’s the boost_threading one, lock use boost to synchronize between threads. Using policies give us more flexibility to implement different behaviors, and it’s not very difficult to understand and use. Functor encapsulates a function call, with its state, and it can be used to defer call to a later time, and act as callback.Generic functors give more flexibility to normal functors. How the library exposes its capabilities is very important, it impacts its flexibility and its ease of use. 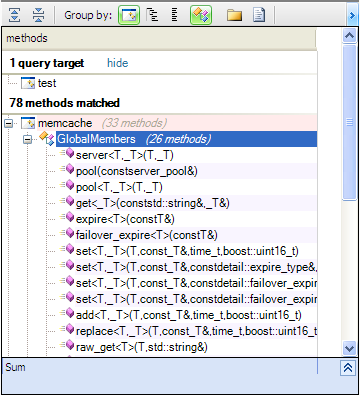 To discover that let’s search for the communication between the test project and the memcache++ library. 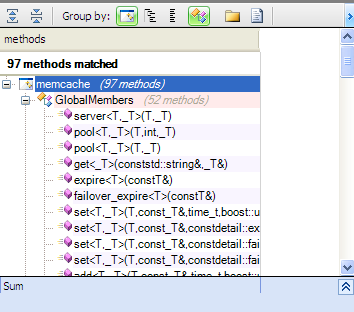 The test project uses mainly generic methods to invoke memcache++ functionalities. What the benefits using template methods, why not use classes or functions? The generic add method is declared like that add<T> where T is the type, and in this case, we need only one method, and even we want to add another type no change required in the interface. The user must give a class inheriting from IAlgo , however if we use generic and define it like that calculate<T >, the user has only to provide a class with methods needed and not necessarily inherit from IAlgo, and if IAlgo change to IAlgo2 because some methods are added, the user of this library will not be impacted. Ideally, the interface exposed by a library must not have any breaking changes, and the user has not to be impacted when changes are introduced in the library. the generic approach is the most suitable for such constraints because it’s very tolerant when changes are needed. And from STL the containers are mostly used. So finally what The advantages of using the generic approach? using generic approach remove boilerplate code. using the richness of boost and stl. The second force is its flexibility, and any changes will impact only a minimal portion of code. Previous Previous post: Don’t touch to my C++ code.